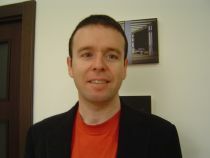 Jesús Fernández-Huertas Moraga works as an associate professor at the Universidad Carlos III de Madrid since 2015. He earned his PhD in Economics at the University of Columbia in New York in 2007. His research focuses on the study of international migration from an economic point of view, analyzing the causes and consequences of migration flows both from a theoretical and empirical perspective as well as investigating the coordination of migration policies between countries, particularly asylum policies. His most widely cited publications have appeared at the Review of Economics and Statistics, the Journal of Public Economics and the Journal of Development Economics. Jesús joined CReAM as an external research fellow in October 2016.